Welcome to the PSR Convention Home page. This web site is the starting point for information about the PSR Annual Conventions, registration, and various activities centered around the conventions. 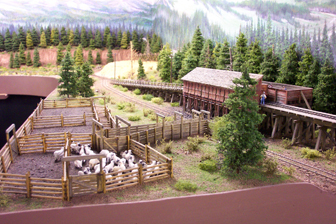 The PSR Annual Convention is a PSR sanctioned model railroad convention that rotates between the four Division geographic areas in sequence each year, and is usually in September. The conventions are hosted and run by convention committees, who are local volunteers in each area who have agreed to abide by all the policies and rules of the PSR and the NMRA. The local Division, model railroad clubs, and other organized groups are eligible to host a convention, at the discretion of the PSR Board of Directors. The Convention normally includes the PSR Model Contest, clinics, layout tours, prototype tours, and various SIG (Special Interest Group), Railette (non-rail) and other activities of interest to the model railroading community. 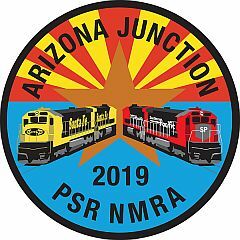 The Arizona Division presents the 2019 PSR Convention, Arizona Junction 2019. Click HERE to go to the Convention Website to see what's going on, and REGISTER! Copyright © 2019 Pacific Southwest Region ~ NMRA® All rights reserved. Based on a design by NodeThirtyThree Design.